Is it bad we’re already dreaming of cold weather? Although it’s currently in the mid-80s outside (read: HOT), we can’t help but let our minds wander toward the crisp, slightly chilly fall weather. Sure, we’re all for the endless days of summer, but truth be told, our closets are in need of a little refresh after months of denim cutoffs and mini dresses. 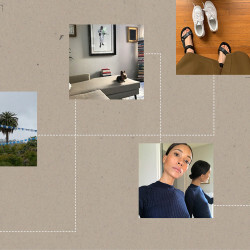 That means that lately our tabs are filled with the dreamiest boots, sweaters, and jackets—essentially everything it’s still too warm to wear but we can’t help ogling over anyway. 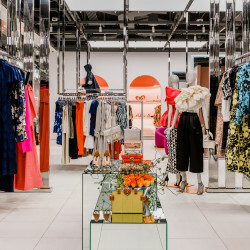 The delayed satisfaction is, in our opinion, the perfect opportunity to really search and invest in a few pieces that you’ll wear year after year (apologies to our bank accounts). Here are the styles our editors can’t wait to buy for fall! 1. Isabel Marant Cropped Turtleneck Sweater: If this isn’t the coziest sweater I’ve ever seen in my life, then I don’t know what else could top it. I want to live in it every. single. day. Since I’m the weirdo who actually loves cold weather, that means Isabel Marant’s flawless iteration of the turtleneck is meant to live in my closet season after season. Now I just need to find the right high-waisted, wide-leg pants to pair with it, and my go-to fall outfit will be complete. 2. 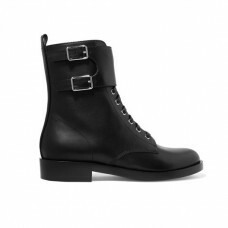 Gianvito Rossi Leather Boots: My search for the perfect combat boots has spanned years, and always ends in an inexpensive pair that I inevitably hate the following season. 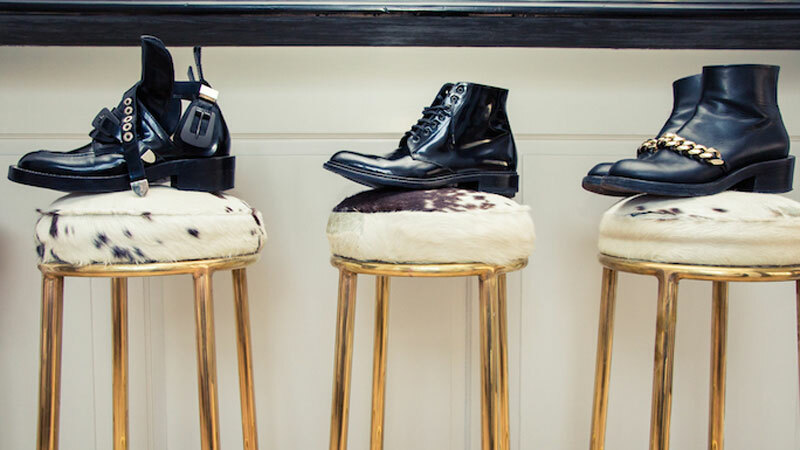 Enter Gianvito Rossi’s classic leather boots. Are they a serious investment? Yes. Will I move heaven and earth to keep them in my wardrobe forever and ever? Double yes. 1. 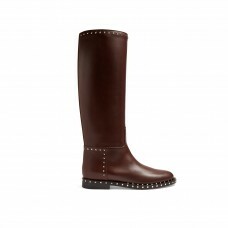 Valentino Riding Boots: When I was in college, the *thing* was to wear classic riding boots with skinny jeans (the tighter the better) tucked into them. It was such a specific look (literally everyone wore that) that I couldn’t stand the thought of riding boots after that season. While I still refuse to wear skinny jeans, I do live in flowy, hippie-ish dresses, and I plan on wearing them with a super classic pair of riding boots come fall. I’m interested in these Valentino ones, but am still on the hunt. 2. The Row Cream Turtleneck: The holy grail of white turtlenecks, which is the most essential building-block in my winter wardrobe. 3. 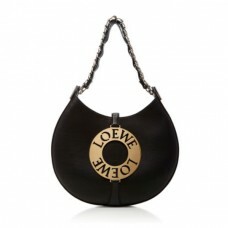 Loewe Bag: I’ve wanted this Loewe bag since forever, and I think this fall I might have to take the plunge. 1. Wolford Bodysuit: I’ve never had the pleasure of actually wearing one of these, but I’ve heard tales of extreme comfort and softness from those who have. I love the clean, sleek look of a bodysuit, and often pair them with A-line skirts and high-waisted, wide-leg jeans. I’m hoping to add this one to the rotation asap. 2. 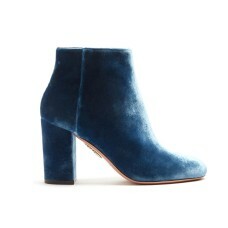 Aquazzura Velvet Ankle Boots: If there’s such thing as a perfect shade of blue, these boots are it. I can see myself wearing them with skinny jeans and a crisp white button-down, or a flowy midi dress if I’m going for a boho look. 3. Ulla Johnson Odette Striped Minidress: You know that fashion “rule” that says your hemlines should get longer as you get older? I’ll be blissfully ignoring it this fall and every other subsequent season, because I love a short dress. The billowy sleeves on this one are perfection, and it’s a piece that can skew casual or dressed-up depending on how you accessorize it. I’m in love! 1. 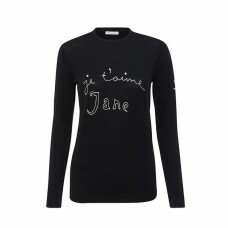 Bella Freud Je t’aime Jane Merino-wool Sweater: As a writer, it makes sense that I love words. I have a soft spot for shirts and sweaters with lettering on them and find myself embroidering shirts that feel too empty. That wouldn’t be necessary with any of Bella Freud’s line. I love the phrases and the handwriting. They also just look so comfortable. The story behind the Je t’aime sweater is also incredible. THE Jane Birkin heard about Bella’s Gainsbourg is God jumper and loved it. After hearing this, Bella made one for Jane. I feel like it was made for me, though, and I really want it. 2. Sandy Liang Bean Bag: I love anything with fluff and is there anything better than this pink-and-green lil bag with a studded leather strap?! I’ve never seen anything like it. It’s so cute and also great for when the temperature drops; I feel like putting my hands right in it would warm them right up. 3. 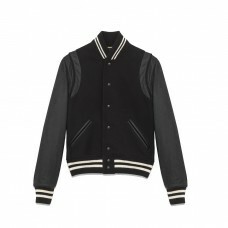 Sandy Liang Bowery Moto: I’ve been wanting a Sandy Liang coat ever since I first saw one. I love fall and winter because I find immense joy in layering, but I always struggle with coats because I don’t own any that are particularly warm. When we shot Camila Mendes, our photographer wore her Sandy Liang jacket to set, and when I tried it on it felt like a cozy tent for one. This Bowery Moto from Sandy’s newest collection looks just as warm, and it combines patent leather, fluffy shearling, and an oversized fit. It has me written all over it, so now I just need to be in it—forever and ever. 1. Burberry Medium Top Handle DK88 Bag: Fall to me always signals that it’s time for a new bag—typically a new black bag. 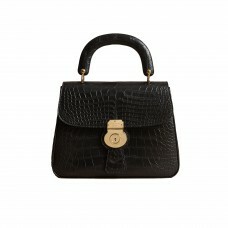 This year, my eyes are on Burberry’s alligator DK88 bag. Okay, so what if it will practically put me out of house and home? A girl’s gotta do what a girl’s gotta do. 2. 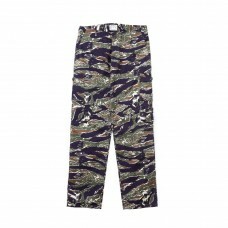 The Real McCoy’s Tiger Trousers: These are pretty much the only camo pants that actually matter. I promise they look 100x better on. Pro tip: Opt for first model. 3. 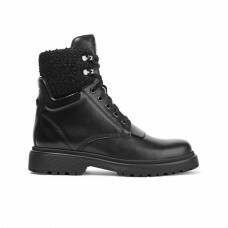 Moncler Shearling-Trimmed Ankle Boots: What is fall for if it isn’t buying yourself brand-new leather boots? Best. thing. ever. These Moncler boots are so perfect I might need two pairs. 1. Ellery Blouse: I’m never not going to want to swim in a giant, billowing, burnt orange blouse all fall. And the buttons on the sleeves are super special. 2. 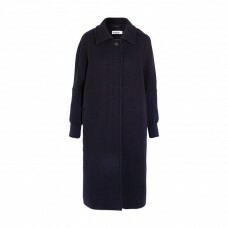 Jil Sander Wool Coat: I realize I’m jumping the gun, but I’m obsessed with the cut of this navy wool coat. The ribbed cuffs and the wide cut make for an every-outfit staple. 3. 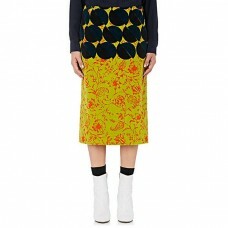 Dries Van Noten Skirt: Dreamy colors, flattering pattern, below the knee. Hi, perfect skirt. Let’s find lots of sweaters with which to wear you this fall.